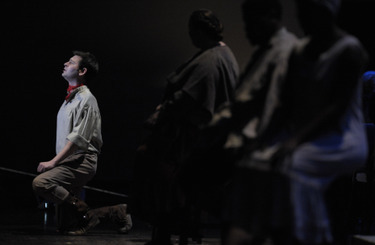 Tenor Jeremy Cady rehearses the role of Rudolfo in the University of Kentucky Opera Theatre's production of La Boheme in the Schmidt Vocal Arts Center on Oct. 7., 2008. Photos by Rich Copley | LexGo. Below: Luciano Pavarotti. Tuesday night, I went over to the Scmidt Vocal Arts Center at UK to shoot some photos for a feature we’re running in Sunday morning’s paper about University of Kentucky Opera Theater tenor Jeremy Cady, who is singing the role of Rudolfo in La Boheme the next two weekends — he shares the role with tenor Phumzile Sojola. As always, it’s fun to shoot artists at work. During this rehearsal, I had this particularly striking moment when I was looking at shots on my camera. There was one of Jeremy in the midst of singing Che gelida manina, eyes closed, mouth wide open, hands clutching at his chest. “That looks like Pavarotti,” I thought. During that interview, Jeremy also said that rehearsal was the night that the opera, his favorite, really came together for him. That was the result of lots of listening, lots of work, and maybe he was channeling a little something too. Top to bottom: Director Michael Ehrman; David Baker as Schaunard, Mark Elliot Golson II as Colline and Eric Brown as Marcello; Jeremy Cady, Mark Elliot Golson II, Christopher Baker and Eric Brown; Jeremy Cady as Rudolfo and Amelia Groetsch as Mimi. Karita Mattila in the title role of the Metropolitan Opera's production of Salome, which shows in movie theaters across America this weekend. Photo by Ken Howard | The Metropolitan Opera. The Metropolitan Opera’s Live HD series gets started this weekend — more than a month and a half earlier than last year — with a live broadcast of Richard Strauss’ Salome at 1 p.m. Saturday. It will show in Lexington at the Lexington Green Movies 8 and the Regal Hamburg Pavilion 16, and repeat at both locations at 7 p.m. Oct. 22. We’ll be seeing the new modern-dress production by German Jürgen Flimm with set and costume designs by Santo Loquasto. According to the New York Times’ Anthony Tommasini though, the reason to see the show is Karita Mattila in the title role. Salome, considered a 20th Century masterpiece by many, is the story of King Herod’s beguiling stepdaughter and her infamous role in the execution of John the Baptist. In the already emotionally unbalanced world of opera, Salome does outdo itself in eroticism — including the dance of the seven veils, which ends with Salome naked — and grisliness. It is not to be missed, though you may want to leave the younger kids at home. It is also a one-act opera that clocks in at a tidy 90-or-so minutes. Met Live HD is getting off to a modern, er, relatively modern start, with John Adams’ Dr. Atomic Nov. 8. This is a book for those of us who have the Beatles next to Beethoven on our CD shelves, maybe with Sidney Bechet and Beck in between. 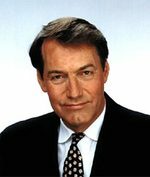 Tom Moon made his name as a pop music critic for the Philadelphia Inquirer, Rolling Stone, NPR and other outlets. But his new book, 1,000 ­Recordings to Hear Before You Die, reveals the mind of a pure music fan who likes anything, as long as it’s good. With Moon, it is hard to find any holes. There’s Steve Reich’s ­Music for 18 Musicians, along with discs of Elliott Carter, Charles Ives and others. He’s got yer Bill ­Monroe, along with yer Flatt & Scruggs and deeper cuts. Moon (photo, right, from Workman Publishing) was in Maynard Ferguson’s big band, and he touches all the greats, and many you haven’t heard of. Maybe the most ­impressive thing about Moon’s selections is his command of a wide swath of world music, pulling in favorites from around the globe. But what really makes the book indispensable is the writing. Moon is a critic at the top of his game, ­intricately exploring what makes these greats great. In only its second year, the Chamber Music Festival of Lexington has commissioned a new work for the event. Daniel Thomas Davis's Book of Visions and Songs will premier Aug. 30 at the Fasig-Tipton Sales Pavilion. It's an 18-minute work for Piano Quintet that was created based on Davis' visits to Central Kentucky earlier this year and written in Italy, Virginia and his current home of Ann Arbor, Mich., where he teaches composition at the University of Michigan. Read about the piece at LexGo, and this one from our first chat with Davis. 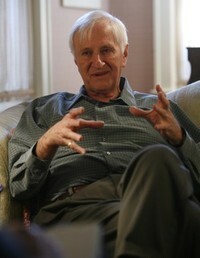 Photo of Davis, above, by Rich Copley. Concertgoers arrive at Meadow View Barn in the Shaker Village of Pleasant Hill for Saturday afternoon's concert in the Chamber Music Festival of the Bluegrass. Below: Sibling violinists Todd and Daniel Phillips of the Orion String Quartet perform Saturday afternoon. Copyrighted LexGo photos by Rich Copley. SHAKERTOWN -- Classical music is something we normally associate with the city. There are those big orchestras in New York, Chicago and just about every other metropolis worth its salt. Even here, in the heart of the Bluegrass, our major concert hall is in the middle of a wide web of asphalt. The old tobacco barn at the Shaker Village of Pleasant Hill lives up to its name, nestled atop a hill that looks out upon vast expanses of green valley or trees from every direction. For the second Memorial Day weekend in a row, the barn and Shakertown are hosting the Chamber Music Festival of the Bluegrass, produced by Centre College's Norton Center for the Arts. Featuring the Chamber Music Society of Lincoln Center, direct from the asphalt jungle of NYC, it is one of the most sublime concert experiences you will ever have. The string musicians' instruments probably haven't been played this close to their natural elements -- i.e. trees and horse hair -- and sounded this at home in a long time. Somehow the cellos sound more woody, the strains of the violins twirl in the air like a lark dancing, and the violas sound like old souls taking it all in. This year, the chamber music society brought along four musicians of its own: co directors Wu Han, piano, and David Finckel, cello, and emerging artists Arnaud Sussman, violin, and Beth Guterman, viola, who were new to the festival. Han and Finckel also invited along the Orion String Quartet, which is performing in its own right and splintering off to perform with the Lincoln Center artists as well. That was an added bonus with Saturday evening's concert in the Meadow View Barn: We got these world-class musicians mixing and matching for more variety than you usually get from a chamber concert. The University of Wind Ensemble's flight from Cincinnati to Chicago, United Flight 191, was canceled this morning, and the ensemble will spend an extra day in Cincinnati before departing Tuesday morning for Chicago and then Shanghai.
" . . . not to worry. We must simply stay another day in our rather comfy hotel here in Cincinnati...not a bad deal really, extra rest is now possible, and we have beautiful surroundings in which to idle the day away . . . all we're really missing is an extra day of sightseeing in and around Shanghai, and that's unfortunate, but it could have been worse. We will arrive at 2 p.m. with a free day and evening in front of us. Tired, needing to stretch and anxious to get into our hotel, we'll just take it easy and go with the flow." In this video, UK Wind Ensemble director John Cody Birdwell and a couple of students discuss the group's upcoming trip to China. Video by Amy Jones, courtesy of UK Public Relations. This morning, 67 students faculty and friends of the University of Kentucky Wind Ensemble are winging their way west -- Or, should we say far east? -- to China. The journey will take the UK band on a six city tour of the country that is eagerly anticipating the 2008 Beijing Summer Olympics while simultaneously mourning the devastating earthquake that struck Central China a week ago today. We've got a story about the trip, how it came about and what's going to happen, in today's paper and at LexGo.com. We've added a photo album of pictures taken by the Herald-Leader's Whitney Waters at events leading up to the trip. If you'd like to follow along, Cindy Stewart-Birdwell, wife of Wind Ensemble director John Cody Birdwell, is blogging about the experience. Click the play button below to hear John Mackey's Turbine from the UK Wind Ensemble's Distilled in Kentucky, the CD that was a key to earning the offer to play in China. Click here to hear UK President Lee Todd's interview of Birdwell for WUKY's UK Perspectives program. 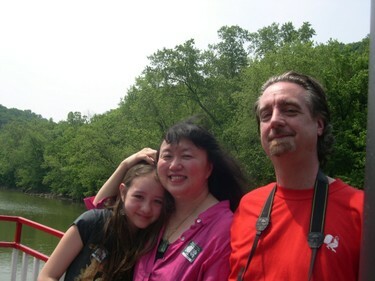 Wu Han (center) and David Finckel (right) at Shaker Village last year with their daughter Lilian. Photo courtesy of Finckel and Han. Last year, the Chamber Music Society of Lincoln Center participated in a pioneering effort: The first Chamber Music Festival of the Bluegrass. Presented by the Norton Center for the Arts and its director, George Foreman, the fest was held at the Shaker Village of Pleasant Hill, off the beaten path for most concert goers, in a renovated tobacco barn, an atypical venue for musicians more accustomed to cozy concert halls. And it was a smashing success. The concerts were sold out, and the chamber music society’s press representative says the musicians haven’t stopped talking about Kentucky. 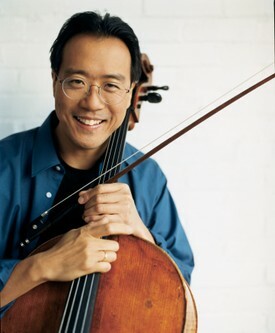 So, with the second edition upon us, we got on the phone with cellist David Finckel and pianist Wu Han, co-directors of the Chamber Music Society, to talk about the second edition of the festival and their return to the Bluegrass. Herald-Leader: Tell us about your trip here last year and what made it so great. David Fickel: The most wonderful thing, besides being in Kentucky, and in such a beautiful place and having such beautiful weather and meeting all the new people and playing for a new audience was being present at the birth of a really exciting new project. 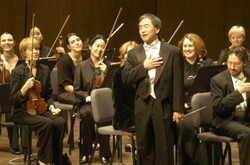 These days, when classical music takes root in a new location and blossoms, it’s wonderful news for everybody involved. We also look at our involvement at the Shaker Village there as being something that the Chamber Society is good at, something that we should do, being the kind of organization we are, we should go around and help people start new things because we can present great art in great programs and get people excited. In the end, we all had a marvelous time. We made a lot of new friends, and we’ve really been thinking about it ever since. Wu Han: In a regular concert, we usually hit a city and play for an audience of 500 to 2,000 and then we probably split the next morning and hit the next town. That’s a performer’s life. So, to have the opportunity to base in such a gorgeous environment – it’s inspiring to be in such a pure and spiritual place like the Shaker Village – and to have the opportunity to be involved in a festival is incredibly satisfying. Festival is a place you come to meet people to have exploration, to have a community that has the opportunity to mingle, to eat meals together, to talk and to share a space and exchange ideas. At the end of the festival, we know the presenters very, very well, we get to know the audience, we get to know where to eat locally, we get to hike a little bit and the audience bonded with us. We have so much to share and it’s a very different sensation from just traveling from city to city and doing one night stands. The setting of the Shaker Village is fantastic. I don’t have the TV to distract me with CNN and 30 minutes of updating in my hotel room. And everyday I would wake up in the same place and it is very close to nature and I get to meet my audience in the daytime. That’s unusual for musicians and I think it’s unusal for the audience to be that close to the musicians. And playing the tobacco barn is so unusual. It’s very close to the earthiness of what we do using the chamber music form and its intimacy. It’s a project I really treasure. Q: Last year, before you came, you said you were curious as to what the venue was going to look like. How did the tobacco barn turn out as a place to play? WH: I loved it. To have a little bit of cowbell and the birds flying around the Dvorak Piano Quintet is not a bad thing at all. University of Kentucky Wind Ensemble director John Cody Birdwell is taking his wife and kids along on the group's forthcoming trip to China, and said wife, Cindy Stewart-Birdwell (photo, right), is contributing to the effort by maintaining a blog about the experience. Thus far, Stewart-Birdwell's HigherView blog has been about the stresses of prepping for the trip around the world that starts Sunday night. "Life is fragile, this we know, so in the words of Leonard Bernstein, 'This will be our reply to violence: to make music more intensely, more beautifully, more devotedly than ever before.'" Click here to read Stewart-Birdwell's blog. I'll also set a link to it in the left-hand column here for the duration of the trip, May 19-29. Over the weekend, we'll have a full report on the trip in the Herald-Leader and at LexGo. 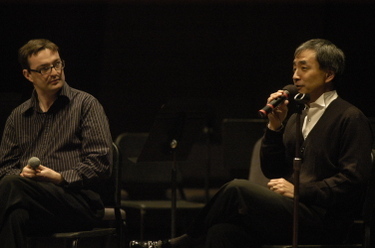 University of Kentucky trumpet professor Mark Clodfelter (left) performs with the UK Wind Ensemble, conducted by Cody Birdwell (right), at a April 20 concert previewing the Ensemble's upcoming trip to China. Copyrighted LexGo photo by Whitney Waters. As the University of Kentucky Wind ­Ensemble is gearing up for its tour of China, from May 19 to 29, it is still in the process of raising funds for the journey. “This is obviously not the best year to be trying to raise additional funds for a trip like this,” UK bands director John Cody Birdwell said, referring to the faltering economy and budget-tightening at the university. But it’s also the one chance for the band to go be part of a cultural event leading up to the Beijing Olympics. The trip will take place regardless of the state of fund-raising at take-off, but the band is still seeking donations. Tax deductible contributions can be made to the University of Kentucky Bands Alumni and Friends, 33 Fine Arts Building, Lexington, KY 40506-0022. For more information, call the band office at (859) 257-2263. 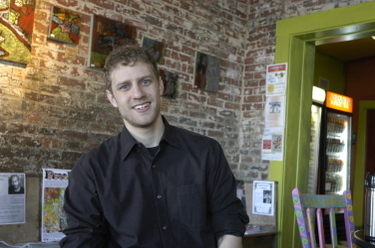 Daniel Thomas Davis sat down for a chat at Third Street Stuff to discuss a new piece he is writing for the Chamber Music Festival of Lexington. Copyrighted photo by Rich Copley | LexGo. After a successful debut in 2007 with works by masters such as Mozart and Beethoven, the Chamber Music Festival of Lexington will have a composition of its own this year. Musician Daniel Thomas Davis will be the composer-in-residence at the festival, Aug. 27 to 31, and his new piano quintet will premiere Aug. 30. "The idea was for me to come down here and ­somehow be prompted by the people and the place," Davis said over coffee at Third Street Stuff. To that end, he came to Lexington in February and spent a week with festival creator Charlie Stone, who ferried him around the region to soak up local color and sound. "We had gone to Shakertown," Davis recalled, "and the Shakers have a long musical history. "It was a frighteningly cold morning, and no one was there. And I remember this incident: I was standing in the meetinghouse all by myself, and I whistled. I got this amazing echo — not a big stadium echo, but far more colorful. It came back with a very different color from where it started." Davis initially met Stone in Saratoga Springs, N.Y., where the composer was an artist-in-residence at the ­legendary Yaddo Colony ­artists' retreat. It was the latest in a ­career of numerous honors for the composer, who has bachelor's degrees from the Peabody Conservatory of Music and Johns Hopkins University and a master's from the Royal Academy of Music in London. He has studied composition with well-known writers such as William Bolcom, Peter Maxwell Davies and Jennifer Higdon. His most successful composition to date is To Canaan's fair and happy land, which has been ­performed more than 75 times and has been excerpted on radio in the United States and Europe. Manhattan Transfer -- (L-R) Tim Hauser, Janis Siegel, Cheryl Bentyne and Alan Paul -- will perform a Christmas show with conductor John Nardolillo and a small local Orchestra as part of the Singletary Center's Signature Series. A jazz legend and another marquee soloist for the University of Kentucky Symphony Orchestra are highlights of the Signature Series lineup at UK’s Singletary Center for the Arts. If the name sounds new, center director Michael Grice says that’s because he aimed to combine some of the best elements of the center’s several series — Corner on Classics, Turning the Corner and even Spotlight Jazz — into one series that would offer a broad spectrum of artists. Leading off the season will be trumpet celebrity Wynton Marsalis (photo, left) and the Jazz at Lincoln Center Orchestra, on Oct. 4. For Valentine’s Day, the UK Symphony Orchestra will perform with hot young violinist Gil Shaham (photo, right), who will play Igor Stravinsky’s Violin Concerto in D, which he will perform five days later with the Cleveland Orchestra. “If we can get artists here, not just to perform, but also match them with students and faculty, that’s nurturing the arts in our community,” said Grice, who paired the UK Symphony with cello legend Lynn Harrell last season. Grice said that UK Symphony director John Nardolillo and a small orchestra of local musicians will accompany The Manhattan Transfer in its Christmas concert here, on Dec. 20. 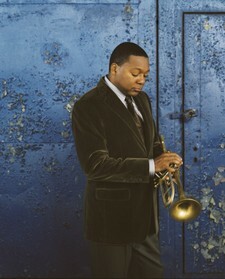 Oct. 4: Wynton Marsalis and the Lincoln Center Jazz Orchestra. Oct. 23: Song and Dance Ensemble of West Africa. Nov. 8: Andrea ­Marcovicci’s Love Songs of World War II. Nov. 12: José Porcel and Ballet Flamenco. Dec. 20: Manhattan Transfer holiday concert. Jan. 30: Dublin Philharmonic Orchestra. 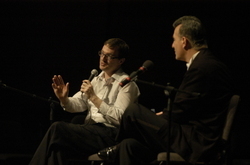 Feb. 14: Violinist Gil Shaham with the UK ­Symphony Orchestra. March 13: Blue Note Jazz Tour. Tickets for the series go on sale at 10 a.m. Monday, May 5, at the Singletary Center ticket office. Call (859) 257-4929 or go to www.singletarytickets.com. The center has changed its fee structure for the series, pricing tickets according to seat location instead of by status such as student, UK faculty and staff, etc. “All the same prices are still available,” Grice said. “It’s just according to where you sit now.” He said that brings the Singletary Center’s pricing policies in line with most other performing arts centers and even groups that use the Singletary Center, such as the Lexington Philharmonic Orchestra. The center will offer five ticket packages, from all eight concerts to three shows, and ranging in price from $88 to $272. For complete pricing information and an order form, go to the Singletary Center website. Lexington Philharmonic music director George Zack soaks in a roaring ovation during his third curtain call after conducting his final performance of Beethoven's Ninth Symphony. Below: Zack and pre-show interrogator Joe Tackett. Copyrighted photo by Rich Copley | LexGo. Don't miss our audio slide show of Zack and the Singers. Read Loren Tice's review of Friday's Philharmonic concert. 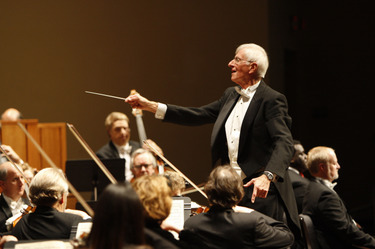 ~ Conducting his next to last concert as music director of the Lexington Philharmonic and his last with longtime collaborators the Lexington Singers, George Zack worked hard to main his composure during the evening. Speaking both at a reception before the concert to announce the final slate of candidates to succeed him and in remarks to the pre-show and concert audience, Zack choked up, particularly when talking about his wife Kerry. At the reception, he credited her as being the key to his success and said, "every day has been a honeymoon." Asked by pre-show audience member Dennis Potts what his favorite piece to conduct was, he replied, "It would be the program that thrills my wife. Anytime I conduct a slow movement, I'm singing to her." When he took the stage for the concert, Zack was greeted by a thunderous standing ovation. When it had quieted down, he demurely asked, "Have we played the concert, yet?" Zack than deferred to the orchestra saying, "We all have to work together, or we make no music," and attributed the orchestra's success to the community. This is not to say there weren't moments of joy and levity. Zack said he chose the evening's program, Wolfgang Amadeus Mozart's Eine Kleine Nachtmusik and Ludwig van Beethoven's Symphony No. 9, "Choral" because they were happy joyful pieces, and he wanted to go out on an up note. The Lexington Philharmonic Orchestra has unveiled a list of five well-traveled conductors who will be vying to succeed George Zack as its music director. The four men and one woman, whose names were announced Friday night, will join the quintet of candidates who auditioned this past season, bring the total field to 10. “Both this and next season have very strong groups of candidates,” said Larry C. Deener, president of the Philharmonic's Board of Directors. Most musicians in the 2008-09 slate have experience as assistant conductors or similar posts with major metropolitan orchestras, worked with marquee conductors and participated in the American Symphony Orchestra League’s National Conductor Preview. “They’re all early in their careers and on their way up,” said search committee co-chairman John Carpenter Jr.
■ Scott Terrell, who will conduct on Oct. 24: Terrell is the resident conductor of the Charleston Symphony Orchestra in South Carolina, and has conducted numerous times at the Spoleto Festival in Charleston, one of the nation’s leading multi-disciplinary arts festivals; and its companion, the Piccolo Spoleto Festival. 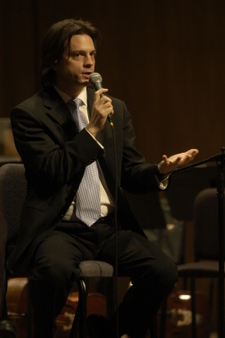 He is also director of education programs for the orchestra and has extensive experience conducting opera. ■ Jeffrey Pollock, who will conduct Nov. 21: Pollock is the associate conductor of the Fort Worth Symphony Orchestra in Texas and is a graduate of the Peabody Conservatory of Music in Baltimore. He also served as assistant conductor of the North Carolina Symphony Orchestra in Raleigh and was the founder and music director of San Francisco’s Amphion Ensemble. ■ Morihiko Nakahara, who will conduct Jan. 23: Nakahara currently serves as associate conductor of the Jacksonville Symphony in Florida and the Spokane Symphony in Washington. He previously was music director of the Holland Symphony Orchestra in Michigan. 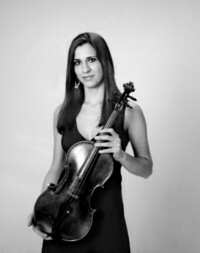 Nakahara is a graduate of the University of Cincinnati College-Conservatory of Music and has received a Bruno Walter Associate Conductor Chair and Career Development grant for Spokane. ■ Alastair Willis, who will conduct Feb. 13: Jobs in Cincinnati appear frequently on Willis’ resume: He is a past associate conductor of Cincinnati Symphony and Pops Orchestras and music director of the Cincinnati Symphony Youth Orchestra. He also served as assistant and resident conductor of the Seattle Symphony from 2000 to 2003, has conducted orchestras such as the Chicago Symphony Orchestra and New York Philharmonic and conducted for Yo-Yo Ma’s Silk Road Project at Ma’s invitation. ■ Mei-Ann Chen, who will conduct March 27: Chen assumed the post of assistant conductor of the Atlanta Symphony Orchestra last fall and also had guest conducting gigs with the Baltimore and Colorado symphonies. She served four seasons as music director of Oregon’s Portland Youth Philharmonic and two seasons as assistant conductor of the Oregon Symphony. Chen made history at the New England Conservatory of Music by becoming the first student to receive dual master’s degrees, in conducting and violin. ■ Kayoko Dan, assistant conductor of Arizona’s Phoenix Symphony. ■ Alexander Platt, whose primary post is music director of Wisconsin’s Waukesha Symphony Orchestra. ■ Darryl One, music director of the Victoria Symphony Orchestra in Texas. 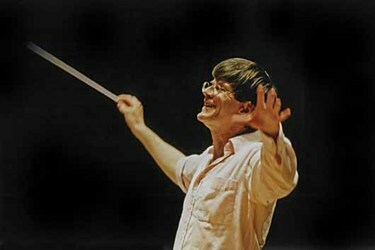 ■ Daniel Meyer, whose primary post resident conductor of the Pittsburgh Symphony Orchestra. ■ Alfred Savia, music director of the Evansville Philharmonic Orchestra in Indiana. The 2008-09 season will be bookended by Zack’s final concert as conductor of the philharmonic, on Sept. 12; and an April 17 concert with the Lexington Singers that currently does not have a conductor scheduled. Carpenter said the April concert is the target date for announcing the winning conductor. “We would like to be able to announce and have on stage that night the winning candidate,” Carpenter said. Two of the the Lexington Philharmonic's music director candidates were also in the running for the podium at the Flagstaff Symphony Orchestra. But the Arizona orchestra left Alexander Platt and Darryl One alone, opting instead to go with Elizabeth Schulze (photo, left), conductor of the Maryland Symphony. Interesting crossing of paths here: If you Google Schulze, you find that last year she was also a candidate for music director of the Erie Philharmonic in Pennsylvania, a post that was eventually won by Daniel Meyer, Mr. February in the Lexington Philharmonic's search. This all goes to the point that even if One or Platt had been tapped by Flagstaff, it does not take them out of the running here. But, it also means neither is adding something to their plate at the moment making them less available, should Lexington come calling next Spring. By the way, the Philharmonic's next slate of candidates will be revealed Friday night prior to the season finale concert. The fourth movement of Leonard Bernstein's historic performance of Beethoven's Ninth Symphony in Berlin in 1989. This video is in four parts. The other portions should appear as options after the first part finishes playing. Click here for an outstanding audio tour of Beethoven's Ninth by Rob Kapilow for WNYC. It's nearly an hour, but it is well worth the time. The question is one of the Rorschach tests of popular culture: If you were dropped on a desert island for the rest of your life and could only have one album to listen to, what would it be? That was a tough question back in my school days. Which Talking Heads album to take? Or R.E.M., U2 or someone else? Now, it’s easy to answer, though it’s none of the answers I had before. Ludwig van Beethoven’s Symphony No. 9 in D minor, Op. 125, “Choral” — aka the Ode to Joy. No other answer makes sense when you can pack the greatest piece of music in the world. We all get another chance to hear the masterpiece on Friday night, when the Lexington Philharmonic Orchestra and Lexington Singers perform the Ninth under the baton of music director George Zack. It will be Zack’s last time conducting the philharmonic with the Lexington Singers. The retiring maestro’s final concert as music director of the Phil won’t be until Sept. 12, but he couldn’t leave without taking another crack at this masterpiece. Composer David Holsinger, whose latest work will be premiered by the Tiger Symphonic Band at Georgetown College April 24. Photo courtesy of David Holsinger. David Holsinger’s name might not rank up there with Gershwin or Copland in the household name department, but mention it to almost anyone in the world of concert bands, and their eyes light up. 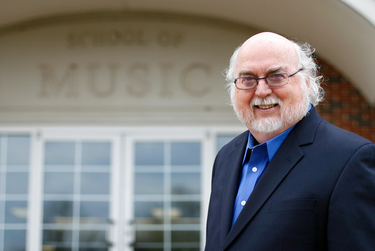 That’s why Georgetown College’s Tiger Symphonic Band is giddy that it is playing the world premiere of Holsinger’s latest composition, Legacy Music, at its spring concert Thursday. Because of a prior commitment, the composer, based at Lee University in Cleveland, Tenn., can’t be in Georgetown for the concert. But we asked him a few questions via e-mail. Q: How did you become interested in composing band music? I've attended Central Methodist College in Fayette, Missouri, Central Missouri State University in Warrensburg, and the University of Kansas at Lawrence. At the last two the study of composition was my primary goal. However, it was an incident at that first small college that set me on the course I travel today. However, I discovered one thing about my career choice very early in my education. In comparison to all my classmates, their desire to be a music teacher was CONSIDERABLY GREATER than my desire to be a music teacher. But, music was all I knew and, of course, everyone back home DID have my future all figured out. Who was I to argue? I was having a great time being a college guy, so why buck the system? In the spring of my junior year, everything changed. The Lexington Philharmonic's 2008-09 season will include music by Osvaldo Golijov, Feb. 13, the first time the popular contemporary composer's work has appeared on a Philharmonic program. Photo by Sebastien Chambert from osvaldogolijov.com. It feels somewhat appropriate the Lexington Philharmonic went up against Gypsy this weekend, because the orchestra has been slowly revealing its 2008-09 season. First, we got concert dates, then we found out about the program for George Zack's final concert on the podium as music director. Now, we get the music and soloists for all but one concert. A lot of this year's candidates have talked about balancing seasons of new music and standard repertoire, and several of next season's concerts do that, including the programming of music by Japanese composer Akira Ifukube, who is known for his scores of Godzilla movies, and Osvaldo Golijov, whose work is often performed by Kronos Quartet and who recently scored Francis ford Coppola's Youth Without Youth. Fans of the traditional classical canon won't want to miss the March 27 lineup of Beethoven, Mozart and Brahms. Sept. 12: George Zack, conductor; Aaron Rosand, violin -- Peter Ilyich Tchaikovsky, Violin Concerto; Johannes Brahms, Symphony No. 1. Oct. 24: Hai-Ye Ni (photo, right), cello -- Ottorino Respighi, The Birds; Franz Joseph Haydn, Cello Concerto; Sir Edward Elgar, Serenade in e minor; Zoltan Kodaly, Dances of Galanta. Nov. 21: Conrad Tao, piano -- Wolfgang Amadeus Mozart, selections from Idomeneo: ballet music; Dmitri Shostakovich, Piano Concerto No. 1; Ludwig van Beethoven, Symphony No. 3 (Eroica). Dec. 19: Jefferson Johnson, conductor; Lexington Singers and soloists -- George Frideric Handel, Messiah. 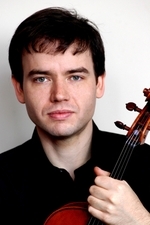 Jan. 23: Daniel Mason, violin, and viola soloist TBA -- Akira Ifukube, Ballata Sinfonica; Mozart, Sinfonia Concertante for violin and viola; Antonin Dvorak, Symphony No. 6. Feb. 13: Yolanda Kondonassis (photo, right), harp -- Osvaldo Golijov, Last Round; Alberto Ginastera, Harp Concerto; Beethoven, Symphony No. 6 (Pastorale). 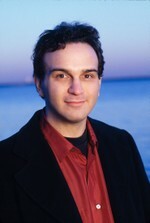 March 27: Andre Laplante, piano -- Beethoven, Leonore Overture No. 3; Mozart, Piano Concerto No. 21; Brahms, Symphony No. 4. April 17: Lexington Singers -- Gabriel Faure Pavane and Requiem; Beethoven Overture to the Creatures of Prometheus and Choral Fantasy. Contact the Philharmonic for season ticket information. Alfred Savia takes questions from the audience in a pre-concert chat prior to his conducting gig with the Lexington Philharmonic. (Below) Moderator Joe Tackett finally got an answer he liked on the bass concerto question. Copyrighted photo by Rich Copley | Lexington Herald-Leader. Think Alfred Savia was scared last night, conducting a concert with the Lexington Philharmonic that was essentially an audition to become the orchestra's new music director? Well, consider this from early in Savia's career: At 22, when he was in graduate school, he conducted at a festival of Leonard Bernstein's music, with Bernstein in attendance. "One of the first public performances I ever had was conducting one of Bernstein's pieces with him in the audience, looking over my left shoulder," Savia recalled at last night's pre-concert chat. "No pressure." Are you talking about this Lexington gig? Because, you know, conducting Lenny for Lenny would seem to raise the bar for pressure pretty darned high. Like all his predecessors in the search for George Zack's successor, Savia sat for a chat with LPO bassist and librarian Joe Tackett to answer questions before the concert. Out of this season's five contenders, he came across as the least scripted, pulling memories from a career that only appears to be confined to the South and Midwest. "Tell us about your studies in Siena," a member of the audience asked. "Ah, now you've tapped another one of my passions, which is Italy," Savia responded. "It's one of those great Tuscan hill towns." He went on to talk about the Siena, its history and his work there in terms as clear and concise as the concert he conducted an hour later, even drawing a comparison to the town he's vying to become a part of: "The one thing Siena has in common with Lexington is horses. You have the Kentucky Derby, and you raise all these horses here. And at the Piazza del Campo, which has all these cobblestones, they pack dirt around the whole perimeter of the piazza, which is a huge piazza, and they put barriers around the inside of the piazza, and on the outside are all the buildings. And on that pathway, they have this horse race. But it's more than a horse race. It's medieval pageantry, and they dress as they would have in medieval times, and its opulent costumes . . . The race only takes a minute or two, but there's all the pageantry." In our compressed American sense of time, it sounds somewhat akin to donning a seersucker suit or a wild hat sipping a julep. On the podium, Savia cut the figure of the football player he once was before a coach told him to choose between the gridiron or clarinet. He usually worked the edges of the stand toward the orchestra, rarely spending more than a second in the middle as he conducted. Make sure to read Loren Tice's review at LexGo. Savia proved to have the best solution to the question of when to talk to the audience, utilizing the stage changeover time between the first and second pieces on the first half of the concert. He relayed some interesting information about the configuration of the orchestra for Ralph Vaughn Williams' Variations on a Theme by Thomas Tallis and gave the Niles Quartet the recognition it richly deserved. Using the changeover, when we're usually left to watch stagehands work, was an effective approach to talking to the crowd. But if Savia is hired or comes back, he and the orchestra might want to choreograph it better. Giving the hands room to work made Savia prowl the dark edge of the stage. Some people I was sitting near seemed oblivious to the fact someone was in front of the crowd with a microphone and kept on chattering with each other. A spotlight may have highlighted that Savia was back out front. There was one great moment for pre-show emcee Tackett. After a season of being stymied on his question about how many bass concertos each candidate will program, Savia said, "Ask who my first soloist was in Evansville, this season." The answer was bassist extraordinaire Edgar Meyer, who played two concertos. Regardless of how anyone else felt, Savia undoubtedly earned some bass cred last night. Click here to tell the Phil what you thought of Savia. The University of Kentucky Women’s Choir will present a benefit concert at 3 p.m. Sunday in the Hillary Boone Center to support its trip to the Music Educators National Convention in Milwaukee, Wis. The invitation to perform at the conference is one of two prestigious honors that director Lori Hetzel and the Women’s Choir have received this year. The group also has been invited to perform for the Southern Region Division of the American Choral Directors Association. The fund-raiser will feature UK Opera Theatre star Brandy Lynn Hawkins, performing selections from Georges Bizet’s Carmen, and Megan McCauley, one of the winners of the 2007 Alltech competition. The concert also will feature a new spiritual by Roger Holland II, renowned composer for the Harlem Boys and Girls choirs, and UK professor Noemi Lugo singing two unpublished Venezuelan works. 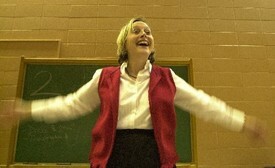 In the copyrighted 2003 file photo, above, Hetzel readied the Women's Choir for a trip to sing at Carnegie Hall. Want any more evidence these ladies are good? Alfred Savia conducts the Lexington Philharmonic in a Tuesday night rehearsal. Copyrighted Herald-Leader photos by David Stephenson. Tonight, Lexington gets to meet candidate No. 5 to succeed George Zack as music director of the Lexington Philharmonic, and he's the closest neighbor of the first audition season. Alfred Savia hails from Evansville, Ind., where he has been the music director of the Evansville Philharmonic Orchestra for 19 years. In fact, some mutual players between the Evansville and Lexington Phils were among those who tipped Savia to the Lexington gig, and suggested he might be good for the group. This evening, he'll take the Lexington Philharmonic out for a test drive at the Singletary Center for the Arts, conducting Gioacchino Rossini's Semiramide Overture, Ralph Vaughan Williams Variations on a Theme by Thomas Tallis and Antonin Dvorak's Symphony No. 8. Earlier this week, we sat down with Savia at Buddy's for a chat about his music and his interest in Lexington. Here's a transcript of a portion of that interview. Copious Notes: You easily have the longest tenure at one post of any of the candidates that have come through this season. Alfred Savia: It's worked out that way. It's fortunate for me to have had a lot of other activities to balance with that. For six of those years, I was the associate conductor of the Indianapolis Symphony. For three years, I was involved in bringing the orchestra in Orlando back to life. I was associate conductor many years ago when they had a full-time orchestra there, and I was the artistic director as they were emerging. In Indianapolis, even though there were six years formally as associate conductor, I continue to conduct quite frequently there. I was just on the phone with them about some of their summer programs. I do at least half of their summer season, still. And I have sort of reconnected with the orchestra in New Orleans, where I was resident conductor before Evansville and Indianapolis. I just came back from my third time there since Katrina. Evansville has been a really wonderful base. It's a position that gives me time to do a lot of other things, as well. CN: How has the New Orleans orchestra fared since Katrina? AS: It actually had a rough time before Katrina, and one could have thought Katrina would have been the ultimate blow, but it's actually been the opposite. They've really rallied. When I was resident conductor in New Orleans, it was called the New Orleans Symphony. I went there really with the knowledge that things were precarious financially. The executive director was very open. He was a friend of mine and really wanted me to come and the orchestra wanted me there. But he also warned me, and his warnings turned out to be quite true. Fortunately, for myself, I found another position. But that orchestra was teetering many years and eventually did fold. The last concert they gave as the New Orleans Symphony -- before they had a hiatus of 14 months and then began playing again and eventually went under -- I conducted a family series and we added the the Farewell Symphony and had the musicians leave one by one. CNN covered it, and there was all kinds of national attention for that. But eventually the orchestra reformed and is run as a cooperative orchestra. The board is 50 percent musicians, 50 percent business leaders and community leaders. With most orchestras, the board is non musicians. In this case, it's a cooperative. It took them a while to get a season going. They would just say, 'We're going to get as much work as we can put together and subdivide the pie.' Then Katrina hit, and of course they canceled a major part of the season, the whole first part of 2005 and '06, and they started it up again, I think, around March, and that's when I went in . . . They subsequently invited me back last season and just again this season. CN: What has made Evansville a great base for you? AS: Well, first, it's a great orchestra. George Zack, shown conducting his last performance of Handel's Messiah, just announced the lineup for his last concert. Copyrighted Herald-Leader photo by Charles Bertram. Last week, we got word on who will play and what will be played on George Zack's final concert conducting the Lexington Philharmonic as its music director, on Sept. 12: violinist Aaron Rosand playing Peter Ilyich Tchaikovsky’s Violin Concerto in D major, Op. 35 and Johannes Brahms’ Symphony No. 1 in C minor, Op. 68. Why Aaron Rosand? : He was a very young artist when I was in school at Wichita State University in the late sixties. His performance was with the Wichita Symphony under James P. Robertson and he played the Sibelius Violin Concerto. He so impressed me with his musicianship and violin skills that I vowed one day to have an orchestra worthy of his appearance. I arrived in Lexington in September 1972 but all the soloists for the coming season had already been selected by the artistic committee. That was necessary in order to secure dates for artists that usually worked a year or two in advance of the coming season. That meant 1973-74 was the first time I was able to hire artists of my choice. The spring of 1973, I attended the Symphony League's national conference and studied the rosters of artist managements looking for Mr. Rosand. I found him and approached his management with the following introduction: "I would like to hire the finest violinist in the world for next season!" Jacques Leisser, his manager, quickly replied, "that would be Aaron Rosand." I answered back, "you're right, now let's talk dates and fee." Since I was new to my position, Jacques made Aaron available to us at a very low fee that would not cripple the LPO budget. We settled on a date and fee and Jacques asked what piece I would select. "Sibelius." He agreed and away we went on a history that included all the major concerti covering three centuries. We have since become fast friends and share many mutual friends here in Lexington and Florida. Why the Tchaikovsky Violin Concerto? : When I realized that my last concert was going to be this September, I called Aaron personally and asked him if he would consider playing with us again for my final appearance on the podium. He immediately agreed. I gave him his choice of works to perform and his immediate answer was "Tchaikovsky." That, in short, was the way that came about. Why the Brahms First Symphony? : As to the selection of the major symphony on the program, Brahms First Symphony in C Minor for me was the obvious choice! When I arrived in February/March of 1972 to guest conduct as a candidate for the position with the LPO, my program consisted of The Freischutz Overture of Weber, the Bruch Violin Concerto, and Brahms First. I wanted to add a bit of Greek symmetry to my career here by ending my last concert with what I started with, hence, Brahms. I have always felt the work gave the orchestra a magnificent vehicle with which to demonstrate musicianship as well as technical prowess. It also would give me an opportunity to hear just what I was getting into as far as the ensemble's willingness to work, ability to perform a major work, and to assess the various sections of the orchestra. With this as my last work, the audience can now hear this marvelous ensemble they have in their midst and know that is more than worthy of support into the future. This week, we’ll see Alfred Savia of the Evansville Philharmonic Orchestra in Indiana, the fifth and final candidate this season for music director of the Lexington Philharmonic. The two-year search will end next spring after another season with up to six auditions. Kayoko Dan: In terms of media coverage of her activities, Dan, who auditioned in October, has been the quietest candidate. According to a short profile published in January in The ­Arizona Republic, Dan’s primary duties as assistant conductor of the Phoenix Symphony Orchestra have been leading school and “People’s Pops” concerts. Alexander Platt: The November guest conductor just signed a five-year contract extension with the Waukesha Symphony Orchestra in Wisconsin that will take him through the 2012-13 season. We should note that in the orchestra conducting world, music directors often hold more than one post, and his new contract in Wisconsin in no way puts him out of the running for the Lexington job. He is also in the running for the music directorship of the Flagstaff Symphony Orchestra in Arizona, where on March 7 he conducted a program including Jean Sibelius’ Symphony No. 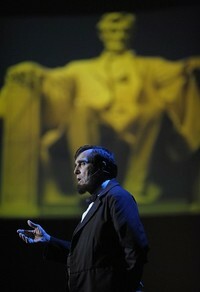 3, which he also conducted here. Platt also has continued his first season as principal conductor of the Boca Raton Symphonia. Darryl One: Three other orchestras are considering One, who auditioned this season in Flagstaff; Midland, Mich.; and Beaumont, Texas. All of those orchestras are making decisions this spring. At his current post, One wraps up another season with the Victoria Symphony Orchestra in Texas in late April. Daniel Meyer: The candidate who ­auditioned in February has been announced as a finalist for two music director posts in Virginia — Fairfax and Richmond — as well as in Fort Wayne, Ind. He also is continuing his regular duties as music director of the Asheville Symphony in North Carolina and Erie Philharmonic in Pennsylvania and as resident conductor of the Pittsburgh Symphony Orchestra. 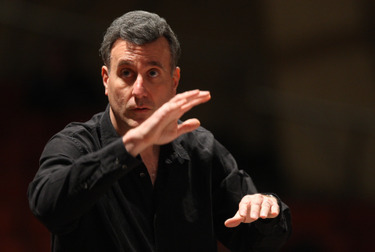 Alfred Savia: This week, in Lexington, he’ll conduct an all-orchestra concert of Giacchino Rossini’s Semiramide Overture, Ralph Vaughan Williams’ Fantasia on a Theme by Thomas Tallis, and Antonin Dvorak’s Symphony No. 8. Earlier this month, Savia was back in an old stomping ground, conducting the ­Louisiana Philharmonic Orchestra. He once was resident conductor of the New Orleans ­Symphony Orchestra. We’ll have more on Savia, as we have with the other conductor candidates, later this week at LexGo.com and in Friday’s Weekender. Meanwhile, what else is up with our conductor search? The names of the remaining candidates will be revealed at an event before the April 25 season finale, featuring outgoing director George Zack conducting the Philharmonic and Lexington Singers inWolfgang Amadeus Mozart's Eine Kleine Nachtmusik Ludwig van Beethoven’s Symphony No. 9. Zack’s final concert will be Sept. 12, with violin soloist Aaron Rosand, and the program will feature Tchaikovsky’s Violin Concerto in D major, Op. 35 and Brahms’ Symphony No. 1 in C minor, Op. 68. The rest of the season is expected to feature guest conductors, save for the annual performance of Handel’s Messiah in December, to be conducted by Lexington Singers music director Jefferson Johnson. By this time next year, we should be close to knowing who will succeed Zack. Joe Tackett (yes, the Joe Tackett) moderated a pre-show chat with Lexington Philharmonic music director candidate Darryl One (right) before the Jan. 18 concert. 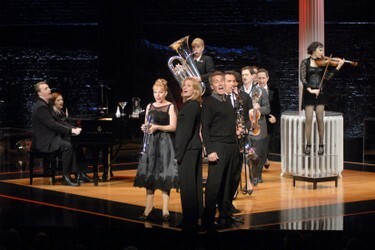 Below: One accepts a standing ovation after the show. LexGo photos by Rich Copley. Museum can be a dirty word in classical music circles. In a genre struggling to assert its relevance to new audiences, museum usually represents an attitude that the masterworks are museum pieces, merely representative of another place and time. But, at his pre-concert chat Friday night, Darryl One didn't hesitate to use the term when describing an orchestra's role in its community. An orchestra, he said, is "a curator of a unique, very wonderful type of museum that doesn't exist in an exhibit, that doesn't exist in a building, but exists as the orchestra plays and makes the soundwaves move out. That's the product of the geniuses of our time, when we think of Bach, Mozart, Beethoven, and in the case of tonight's concert, Respighi, Poulenc and Tchaikovsky. These were exceptional men with skills and gifts beyond mere mortal men. And to have their minds exposed to us in these wonderful sonic landscapes, that's what an orchestra will get for you . . . we're the caretakers of that history." Lest any contemporary music fans fear One is a modern composer hater, he later expressed admiration for contemporary composers such as Michael Torke and film scorers such as John Williams. One (pronounced OH-nay) was in town as one of the candidates to succeed George Zack as music director of the Philharmonic. He kept his stage patter to a minimum, greeting the audience at the beginning of the second half of the concert. He noted that, as he mainly circulates in Southern Texas and California, he hadn't experienced temperatures like this week's 30s and 20s in a while -- wait'll Sunday morning, Darryl -- but added he'd been warmed by our Kentucky hospitality. In the first half of the concert, he had a good sense of occasion, making sure local talent and organ soloist Schulyer Robinson got his moment in the spotlight after his performance of Poulenc's Organ Concerto. And the audience gave One a spontaneous standing O at the end of the concert, after a hot rendition of Tchaikovsky's Symphony No. 5. Read Loren Tice's review. Folks in the hall may have noted something missing from the stage Friday: a conductor's score. Asked about that by pre-show chat by moderator and Philharmonic bassist Joe Tackett, One said he memorizes the scores so, "I can be with the musicians as much as possible." Nothing between the curator and the art. 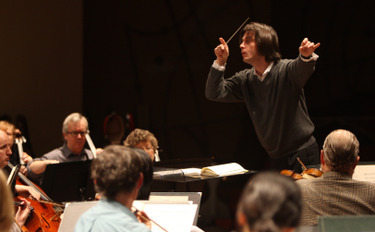 Darryl One, the third candidate to succeed George Zack as music director of the Philharmonic, leads the orchestra in a rehearsal Monday night. Copyrighted LexGo photo by Joseph Rey Au. Darryl One had an appointment to meet the press Tuesday, but something else came up: a pickup basketball game. Invited to play a midday game at the High Street YMCA, the conductor asked to delay a lunch date for 90 minutes. Some around here might say the third aspirant to succeed George Zack as music director of the Lexington Philharmonic Orchestra has his priorities in the right order. And the maestro, who holds a master’s degree from Indiana University, talks enthusiastically about his excitement at being in yet another basketball hotbed. But that’s only after a good two hours of chatter about conducting and music while sitting at Cheapside Bar and Grill. 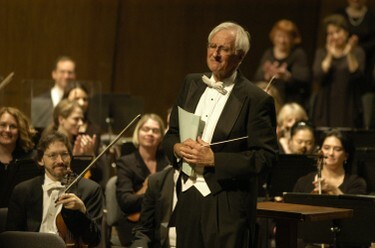 One (pronounced Oh-nay) comes to Lexington from Modesto, Calif., where he was the music director of the Modesto Symphony Orchestra Association until 2005. He still lives there with his wife and two teenage daughters. He is still music director of the Victoria Symphony Orchestra in Victoria, Texas. Prior to those jobs, One was associate conductor of the Charlotte Symphony Orchestra, Denver Symphony and Atlanta Symphony Orchestra. One of the big reasons he likes Lexington is its proximity to his family's home in Chicago and his wife's family in Atlanta. Our chat was to preview the big concert Friday night, when One takes the podium at the Singletary Center for the Arts to conduct a program of Ottorino Respighi's Ancient Airs and Dances, Suite III, Francis Poulenc's Concerto for Organ and Peter Ilyich Tchaikovsky's Symphony No. 5. On how he got into music . . . When I was in high school, math was my, ‘strong suit.’ So, I though that’s what I would want to major in. I was in the high school choir, but I didn’t know too much about music back then. I had played drums in a garage band. We played what was current at that time. This one guitarist liked the Edgar Winter Group, so we did Free Ride and things like that. We played Doobie Brothers. I liked Chicago, but of course, we needed horns like that. These guys wanted to make money, so we tried to be a wedding band and learned things like the Hokey Pokey. It was mostly an opportunity to sock your drums and turn your guitar up high. 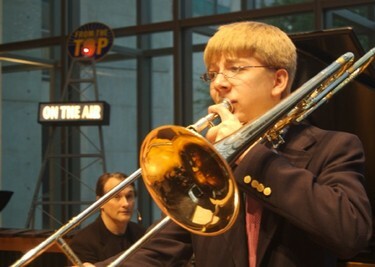 In high school I played in the high school jazz band for a while. So, when I went to school, I thought I’d go as a math major and see what I could do with that. But I wanted to learn more about music. I had drum lessons, but nothing about harmony or theory. So I went to the music department and asked if I could sign up for classes. They were giving placement exams, which were more aural than knowledge, and I scored higher than anybody. So I had to wait a year, because the major section of theory that was being offered that semester was level one, and the theory teacher thought I’d be bored with that. So I came in at level two, and I really liked it. I thought, maybe I should think about being in music. But I didn’t know exactly what, since I wasn’t a virtuoso violinist or anything. I was a garage band drummer, so I couldn’t make a career at an instrument and performing on it. So I went into composition and liked that. My undergraduate degree was in theory and composition. But by my senior year, I was assistant to the orchestra for two years and I had already conducted a staged version of Magic Flute. I had the understudy cast for the opera, so I coached them, and as a reward, the conductor gave me the orchestra to do a staged concert version of Magic Flute. I was a little more enterprising and there was a chamber orchestra and I got wind that the conductor didn’t want to do it. So I went to the head of the music department, and he let me have the chamber orchestra. Now I had a class, and I didn’t have to beg people to play in a pick-up group. One of the teachers there liked contemporary music, so he put together a contemporary chamber ensemble. But he didn’t want to conduct. He wanted someone else to do it. So, I was director of the contemporary chamber music ensemble, and I had the chamber orchestra, and I was assistant to the orchestra in my senior year, all while being a composition and theory major. Needless to say, I was thinking about conducting more than I was thinking about composing. Note: We're not sure what happened with KET2 last night. They ran a documentary well past 11:30, and then joined Charlie Rose in progress, well into the Alsop interview. Thanks to TiVo, I caught the 1 a.m. rerun (first run?) on KET and will post some highlights tomorrow. 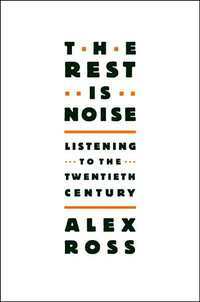 ~ Alex Ross, the New Yorker critic whose new history of 20th Century Music, The Rest is Noise, is essential reading. ~ Baltimore Symphony Orchestra music director Marin Alsop, the first woman to be named music director of a major American orchestra. In Central Kentucky, Charlie's on KET2 (Insight Channel 15) at 11:30 p.m., and then it repeats at 1 a.m. on KET (Insight Channel 12). 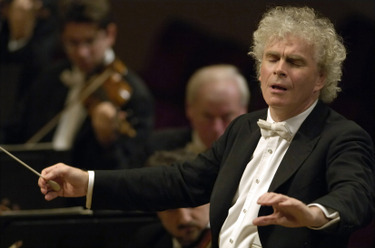 Sir Simon Rattle conducts the Berlin Philharmonic Orchestra at Carnegie Hall in November. Copyrighted photo by Joe Sinnott for Thirteen/WNET. 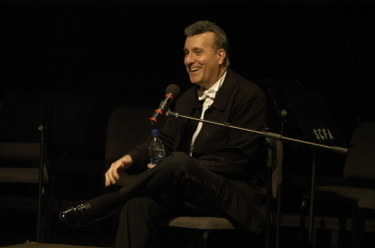 One of the cultural events of 2007 in the United States was the Berlin Philharmonic's extended visit to New York in November. Two posts ago, we were discussing Germany's fall from its status as a cultural cradle into evil during the World Wars. The 17-day Berlin in Lights festival celebrated the city's re-emergence as a cultural capitol. We get to see highlights of the event at 9 tonight on KET. Great Performances' Carnegie Hall Celebrates Berlin will feature the Philharmonic performing Gustav Mahler's Symphony No. 9, as well as excerpts from a performance of Igor Stravinsky's Rite of Spring with 120 dancers from Manhattan Public schools. We'll also be treated to hotshot young conductor Gustavo Dudamel, who just made his debut conducting the New York Philharmonic and has been named the new music director of the Los Angeles Philharmonic, leading his Simon Bolivar Youth Orchestra of Venezuela in Bela Bartok's Concerto for Orchestra. Coverage of the festival made it sound amazing, so this sampler should be a treat. 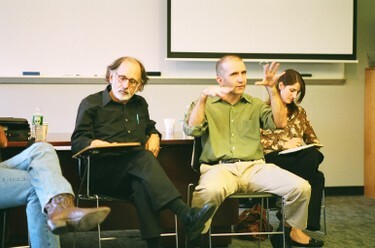 Critic and impresario Joe Horowitz and critic Alex Ross speak at the NEA Arts Journalism Institute in Classical Music and Opera at Columbia University in October. No one could ever accuse me of being a prolific book reader. I’m not a speed reader, and with a wife, two kids, a busy schedule and a job that demands a lot of reading, the large swaths of time needed to devour a book are few and far between for me. I do have a pile of good intentions — books that were started but faded from mind as more fetching reads emerged. So, when a book overcomes those hurdles and continues to reassert itself, I know I’ve found something special. “Special” is an understatement for Alex Ross’s The Rest Is Noise: Listening to the 20th Century. At this point, I might be the last journalist to sing this remarkable tome’s praises, but I’m going to sing them anyway because this book is essential for knowing and understanding the history of classical music in the 20th century. It’s an important period to understand for anyone who cares about the genre. The 20th century was the time in Western culture when classical music went from enjoying a prominent place in society to more of a niche genre that struggled to figure out whom, if anyone, it was supposed to address. There are all kinds of theories as to why this happened. 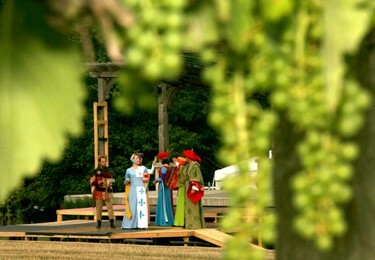 Shakespeare at Equus Run was one of several events launched in the Summer of 2007 to fill the void left by the closing of the Lexington Shakespeare Festival. Herald-Leader/Kentucky.com photo by Matt Goins. "This is a developing story . . . " is a fairly common phrase in the news biz, and it certainly applies to the arts in Lexington in 2007. When you start thinking back on the big stories of the past year, several of them were stories that carried over from 2006. And heck, some of them won't be resolved by the time this piece is being penned in 2008. There's quite a bit of evolution and change taking place here, and that usually doesn't easily fit into a calendar year. But evolution and change are also exciting, so let's see what was going on. Summer reboot: One of the late-breaking stories of 2006 was the dissolution of the Lexington Shakespeare Festival. The arts community responded big time, filling the summer with events including Actors Guild of Lexington's Shakespeare at Equus Run and another festival that swooped into the Arboretum to replace the Shakespeare Festival. 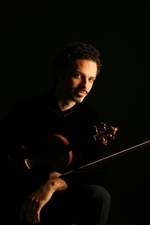 The summer also saw the debut of new chamber music festivals at the beginning and end of the season: The Chamber Music Festival of the Bluegrass, featuring the Chamber Music Society of Lincoln Center, at Shakertown and the Chamber Music Festival of Lexington, featuring Lexington native and Chicago Symphony violinist Nathan Cole, at the Fasig-Tipton Sales Pavilion. This story will continue to develop in 2008. Actors Guild has already decided to pass on presenting a indoor musical, as it did with Kiss Me Kate, this year, and SummerFest will likely look different in its 2008 offerings than it did this year. We'll keep you posted. The search begins: George Zack is an indisputable institution in the Lexington arts community. So it meant a major change was afoot late last year when he announced he was stepping down as music director of the Lexington Philharmonic after 35 years on the job. This year, the change started happening. Though Zack's final concert isn't until September 2008, and his successor won't be announced until 2009, we got a look at the first two candidates for his job -- Phoenix Symphony Orchestra assistant conductor Kayoko Dan and Alexander Platt, who has several orchestras under his baton -- and an idea what the Phil will look like without Zack. In 2008, we should see at least five more candidates for the job. Laura Bell takes the lead: No, this did not happen in Lexington. But if you ever wanted a statement that you can be born and raised in Lexington, go to school here, sharpen your skills in local arts entities and go on to top the marquee in a major cultural capitol, Laura Bell Bundy's star turn in Legally Blonde -- the Musical was a strong one. The Lexington native and Lexington Catholic graduate culminated years of working through stage and film to grab the leading role in one of Broadway's hottest shows, and a Tony nomination for the performance. Bundy's a performer with a lot of irons in the fire, so we'll see where 2008 leads her. Zirkel's passing spotlights his cause: Ross Zirkle's death from cancer robbed the University of Kentucky of one of its beloved art professors and Lexington of a strong and active member of its visual arts community. It also revived a cause that Zirkle had fought passionately for: Getting the University of Kentucky administration to pay attention to the deplorable conditions at the Reynolds Building where the art department is housed. Despite problems that prompted an accreditation team to call the building, "a disaster waiting to happen," and previous problems including a collapsing staircase, the University of Kentucky administration has not made renovating the facility a top priority. We'll see if Zirkle's passing prompts any change of heart in '08. The UK Symphony goes on the record and on the road: This year saw conductor John Nardolillo putting his orchestra on the national map with achievements including recording a CD for Naxos Records, the largest classical music label in the world, and playing Carnegie Hall with folk legend Arlo Guthrie. That CD of ballet music by George Frederick McKay should come out in 2008, and we'll see how else Nardolillo turns heads in the new year. UK Opera joins forces with San Francisco Opera and composer: The University of Kentucky Opera Theatre increased its national profile joining with the San Francisco Opera's Merola Young Artist Program for the world premier of Thomas Pasatieri's comic opera Hotel Casablanca. It put the UK company in league with one of the nation's strongest opera companies, a prolific composer, and it stamped its name on a show that could wind up on stages around the world. The Mayor issues a challenge: New Lexington Mayor Jim Newberry made the Lexington arts community nervous when he initially declined to declare a donation to the LexArts annual Campaign for the Arts as the effort got underway, breaking a tradition set by several of his predecessors. But he came back with an interesting proposal: He allocated $350,000 to the campaign and offered an additional $150,000, if LexArts could match the grant by coming up with new donors to pledge an additional $150,000, at no more than $1,000 each. LexArts rose to the challenge and acquired a new base of support, thanks to Newberry's visionary proposal that he hopes to apply to other concerns in the city. Now it's up to LexArts to build on the money and the new donor base. 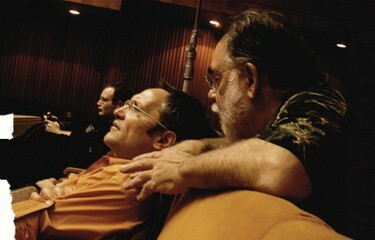 Osvaldo Golijov and Francis Ford Coppola working on the score of Youth Without Youth. Copyrighted photo by Anahid Nazarian for Deutsche Grammophon. A great film score simultaneously transports you back to the cinema and stands on its own. 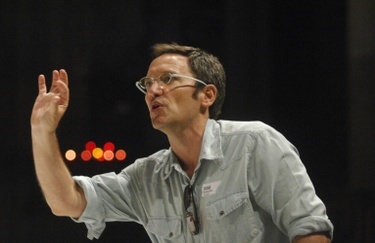 Osvaldo Golijov claims he is not a movie composer, but for Francis Ford Coppola's first feature in a decade, he has written a great film score. Coppola certainly knows from great film scores. His father, Carmine Coppola, was an esteemed musician who even scored a few of his son's films. The late Nino Rota's music was a vital part of the first two Godfather movies. And Coppola has a great ear for selecting music, making Richard Wagner and The Doors vital parts of Apocalypse Now. So being tapped to compose for Coppola has to be a humbling task. But Golijov rises to it, delivering music as lush, dreamy and jarring as the film it accompanies. 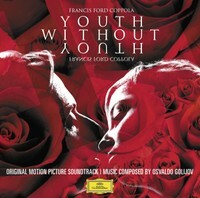 Based on a novella by Romanian philosopher Mircea Eliade, Youth Without Youth is the story of a 70-year-old man who becomes young again and acquires extraordinary mental powers after being struck by lightning. Golijov's score is as diverse as you would expect for an Argentinian composer writing for a movie that takes place largely in Eastern Europe and Central Asia. The music is augmented by indigenous instruments such as a Hungarian dulcimer and an Iranian spike fiddle. They provide intriguing contrasts to the Bucharest Metropolitan Orchestra, which performed the music. But the biggest thing that says Golijov, a Grammy-winning writer who frequently works with artists such as Kronos Quartet, is indeed a film composer are those purely orchestral passages that tell the story. Listen to the contrast between the aching beauty of Love Lost: Laura, a lament for the hero's failed engagement as a young man, and The Girl in Room 6, which suggests sinister nature of his hypersexual relationship with a woman who will betray him. Youth Without Youth will never be as big as The Godfather. It's too thick and ambiguous for mass appeal. But for people who see it and embrace it, Golijov's music will be inseparable from the film, and this soundtrack recording may become inseparable from your ears. Note: Youth Without Youth, the film, is currently scheduled to open in Lexington in late January. Conductor Hilary Davan Wetton led the new CD of Ralph Vaughan Williams Hodie. 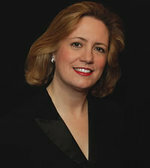 Photo from the Guilford Choral Society. One of the most frequent comments about Ralph Vaughan Williams’ Hodie (pronounced Ho-dee-yay) is the remarkable energy of the score for it having been written late in the composer’s life. Conductor Hilary Davan Wetton, the Royal Philharmonic Orchestra and the Guilford Choral Society honor that legacy with their new recording of Vaughan Williams’ work, whose title had the vital translation “this day.” The day in question is that of Jesus Christ’s birth, and the tone is appropriately celebratory -- no dwelling on darker Easter themes here. The work is in a familiar Nine Lessons and Carols-type format, with the narrations coming in the sweet, rounded voices of the St. Catherine’s Middle School Choir. Exemplifying the youthful energy of Vaughan Williams’ late-life composition is its pairing on the disc with the composer’s Fantasia on Christmas Carols, written 42 years before Hodie. 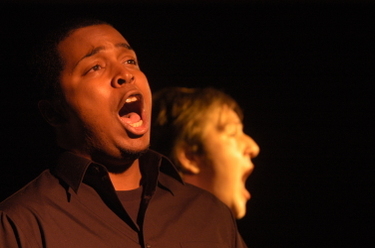 The 11-minute work is often paired with the cantata on recordings. Here, the Fantasia is given a gregarious reading, particularly by baritone Stephen Gadd, who also sings on Hodie, along with tenor Peter Hoare and soprano Janice Watson. The performances of all the artists and the glistening works, along with Naxos Records’ nice price tag of under $10, make this a Christmas keeper. Check this out: Charles Bertram's fantastic photos from George Zack's final Messiah. Tonight is probably Lexington Philharmonic music director George Zack's last time conducting George Frideric Handel's Messiah. It's a piece he clearly loves. In an interview a few weeks ago, he told us, "I keep reminding the singers and the orchestra, this is probably still, in my mind, the most creative and inspirational piece of music, or any art, we've ever had in the history of man's creation." One person to watch out for tonight will be 19-year-old baritone Reginald Smith Jr. He was knocking out Zack, the other soloists and members of the Messiah continuo at a rehearsal yesterday afternoon. This being the final Messiah for Zack, who retires from the podium in September, we'll be going behind the scenes tonight to give you a bit more than a review for tomorrow's paper. In today's paper, check out our playlist of favorite jazz and classical Christmas music.